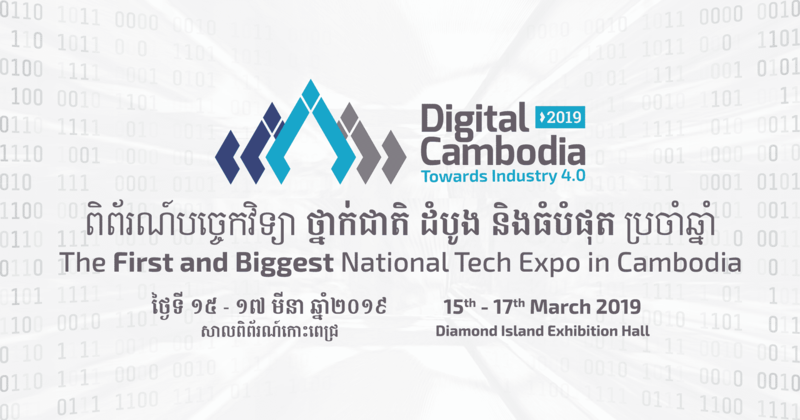 The First and Biggest National Tech Expo in Cambodia on March 15-17, 2019 at the Diamond Island Convention and Exhibition Center. Cambodia is one of the ASEAN countries which relatively put a strong emphasis on digital transformation. While more advanced ASEAN countries like Singapore, Malaysia and Indonesia are most likely be able to breeze through the inevitable Fourth Industrial Revolution (also known as Industry 4.0). Based on our country strong and clear vision to transform the country into the digital economy, we successfully launched the First and Biggest National Tech Expo in Cambodia on March 15-17, 2019 at the Diamond Island Convention and Exhibition Center. It was so impressive that we could gather more than 100 tech companies and startups around the country and the region, along with dozens of Entrepreneurs, CEOs, and IT industry stakeholders. Because of its success, many of us keep wondering what’s next toward Cambodia Digital Transformation, just stay-connected with MIA, we will keep you posted of all this BIG news.